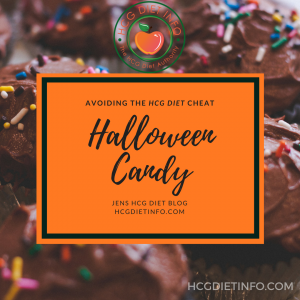 My Hcg Diet Week 1 Experience. Back in the early 2000’s, I lost 90 pounds after a friend shared the Hcg Diet with me. I kept the weight off for over 10 years, with only small fluctuations here and there. When I had my first baby a few years ago, I gained about 40 pounds during the pregnancy and breastfeeding. I had thought that the healthy lifestyle would bring my weight back naturally, but that just didn’t happen. In fact, while breastfeeding, I quickly discovered that my favorite hot yoga class and healthy foods, severely reduced my milk production. This made working out almost impossible, and I had to increase my carbohydrate based foods as well. Needless to say, this was detrimental to my weight and overall health. When it was time, I tried simply reverting to how I had eaten to stay a size 6/8, but it wasn’t easy. Being a busy Mom, I was constantly eating for convenience, and had a hard time letting go of the foods I had eaten for the last year or two (ya, I was liking that spinach pasta, flavored greek yogurts, sushi rolls and pad thai a little too much!) I tried a few different things to tighten up my act, including haley pomroy’s program, and just increasing exercise. Can I tell you, that I’m still shocked how walking/running for 3 miles each day on top of daily core power fusion yoga (this is INTENSE hot yoga that would make a UFC athlete cry) and pilates would result in…. a total loss of 6 pounds after 7 months. I wish I was joking. Luckily, I was going because it felt good and not really to lose weight, because that would have been seriously frustrating. 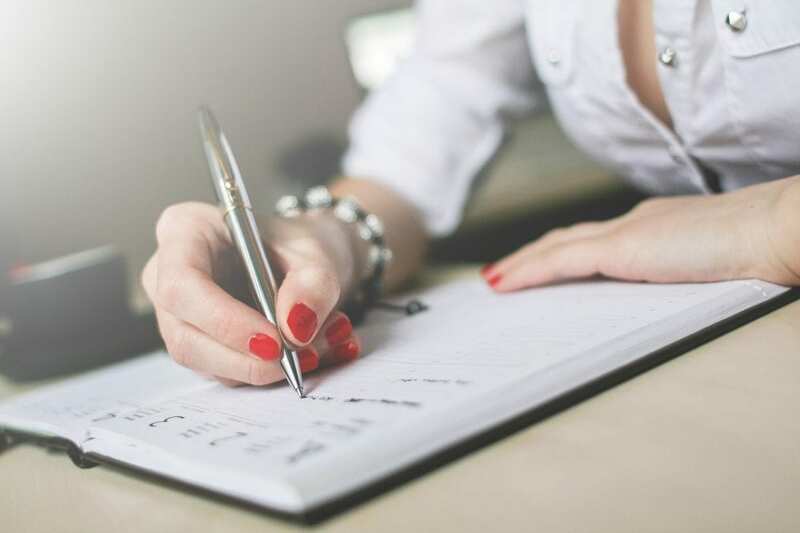 The time came though, when I realized it was time to focus on getting back to where I was before the baby… and the Hcg Diet Plan is what I know that works, and fast. 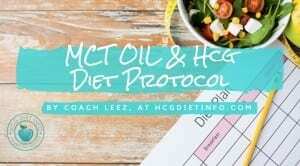 Here is my current Hcg Diet journal… I am updating daily so feel free to bookmark and follow my journey. 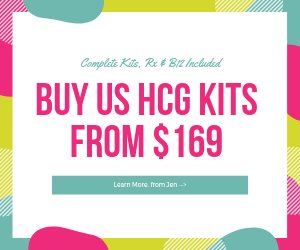 My overall Hcg plan of attack! I have come to find that each round is different. It certainly helps to have a plan going in, and adjust accordingly as you progress. 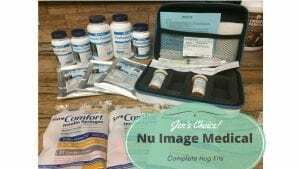 My starting plan: 150iu Hcg diet injections from DietDoc (my entire Hcg kit and supplements are from DD this round), (my last round was with Nu Image Medical, and I lost 26 pounds) mixed with B12. Lipotropic fat-burning injections. Fiber pills, and appetite suppressants (mostly for early days of P2 but see details below.) Smooth move tea each evening. I will adjust my dosage if I consistently feel hungry while on Phase 2. My Journey… Here we go! May 26th, First day of Loading: First injection, 150iu of Hcg hormone mixed with B12. My Phase 1 loading day… Meals: Breakfast: Avocado Toast (thank you for the avocados Julie!) with egg, on sourdough, and the first oreos I have had in years 🙂 shared with my 3 year old son who now wants to dedicate the remainder of the day, to getting more oreos. Water to drink, and diet soda. Lunch: Beef stroganoff, greek yogurt with strawberries, and a cinnamon roll and a few more oreos. Chocolate coconut water. Lots of water today. By 4 pm, I feel awful. Sluggish, low energy and having a hard time keeping my eyes open. I can tell the difference between how I feel now, and how I feel when I’m eating normally (which is really healthy.) I also feel unusually “puffy” and bloated when I didn’t feel that way this morning. I’m feeling awful; so bloated and “big.” I don’t remember the last time I felt this big. I keep reminding myself that in the next 2 days, I will feel immensely better. I keep my foods simple; I make my favorite meatball soup with apple cider vinegar, braggs, chopped tomato and a ton of seasonings. The meatballs make it easy to portion out and I can keep them stored in the fridge and ready to go. I usually add zucchini to this soup too, but since they are not on the hcg foods list, I am refraining this early on. I also made my favorite “go-to” phase 2 meal, which is a salad of mixed greens (spinach, arugula etc) with hardboiled egg as my protein option, a few cut up strawberries and melba toast as my crouton replacement. I drizzle this with balsamic and pink sea salt. I always love this salad. I add smooth move tea (in the evening) and a fiber supplement (with a meal) to my protocol- this is something I discovered was really helpful in my last round (I lost 26 pounds in a short round.) Most people need an average of 30 to 40 grams of fiber per day. It’s just not possible to get the body’s required fiber needs in with the 500 calorie diet. FYI, I’m not stressing the 500 calories; if I go over a bit, I add a little more walking or bouncing on my rebounder while watching a movie. May 29th, Day 2 on phase 2. I feel better already; my stomach is noticeably flatter and the puffy feeling is gone. I’m still feeling the call to search out hubby’s hidden oreos, so I’m taking another appetite suppressant. I’m still a bit “off” with a light buzzy feeling. Definitely improved since yesterday. I go for a good walk this evening and add a light yoga routine to my day. May 30, Day 3, early morning. Ok, now I feel the REAL phase 2 weight loss difference. My hunger is about gone and my body feels slimmer already. I feel good. I also notice that I have slept better in the last few days than I have in a long time. I believe this may be due to the theanine that DietDoc includes in their Hcg. I became very aware of something today. I noticed how many times it crossed my mind to have “just a bite” and it was usually of my son’s snack foods or leftover meals. There were so many times when he offered me his Annie’s gummy bunnies, or his peanut butter and jelly sandwich. That leftover macaroni and cheese he didn’t finish… and those crackers and string cheese he was offering me. His chocolate milk with the swirly straw… I don’t think I stopped to think of just how many calories and how much sugar I have been taking in before starting my Hcg diet journey again. That was eye-opening! I’m down almost 5 pounds this morning, and I can feel it. That’s 5, fist sizes of fat, (see what fat mass looks like, by the pound) gone from my body in after 3 full days on P2. My pants feel looser in the waist, but I also notice a HUGE difference in my thighs already…. Today was a little rough. I really wasn’t feeling too good and was wondering if I had caught that bug my son brought home from preschool. I was feeling pressure in my head and just feeling “off” again. Well, by the end of the day, I realized it was the lipo dosage that needed to be lowered. I noticed that I had felt the same way 2 days ago, when I had my other lipo shot (I don’t always take it every day, and definitely not during week 1 on P2) and today, it reminded me of how I felt when I was given a vitamin IV. If you haven’t heard of these… they are vitamin infusions made up of different vitamin and amino “cocktails.” I’ve had quite a few, but this particular one, was a little more potent than usual (the doctor blended it differently, to combat a cold) and I remember feeling “icky” for a bit afterward. So, I drank tons of tea today (I’m a tea fan), to flush my system a bit and went for a long walk. I was feeling better pretty quickly. I will skip the lipo tomorrow and lower it the next day to what Dr. Rao suggests at Diet Doc. We will see how I feel after that. I wasn’t very hungry today, which made it easy to stick to the 500 calorie limit. I had hard boiled eggs with greens and my own vinegar dressing for breakfast/lunch. Strawberries as a snack, and chicken breast for dinner. I went with green beans (off-protocol, but didn’t have the heart to tell hubby after he cooked them for dinner!) and chicken cooked with Himalayan salt and vinegar- I’m pretty sure I could live on this. So, I was down over a pound this morning. I was so surprised because late last night, I was feeling “off” still. I had such a wretched headache and feeling this weird buzz feeling. I decided to go off-protocol and have one of my beloved green drinks. Normally, I include a full avocado in this, but instead, I made a small portion with 2 tablespoon of avocado, and just accepted that it may effect my losses the following morning. Well, this morning, I’m feeling back to my normal self and I was still down over 1 full pound. (I think it was 1.2 pounds.) Now, I would have just called Dr. Rao at Diet Doc sooner, but it happens to be the weekend now and it will have to wait. In the meantime, I’m happy with the approach I took; to skip the lipo, add a green detox smoothie, and flush with tons of tea and water. The result was good. I will still be calling the doctor tomorrow to check on his suggested dosage for my lipo. Ok, today, I am officially feeling the “Hcg Diet Bada$$” stage. I feel amazing. I’ve lost several inches on my waistline already and my thighs and rear end feel significantly thinner. I feel great, and I’m not hungry. Cravings are GONE. As a recap, I am taking 150iu’s of Rx Hcg injections with B12 mixed in them, and 300iu lipotropic fat burners (I lowered this from 500 because it was a bit too strong for my P2/Week 1.) All of this is from Diet Doc. I’m also taking their fiber supplement, and I’ve used their appetite suppressant a few times this week (not necessary, but helpful when I was first dealing with those darn cookies calling my name.) I have also added a smooth move tea each evening with, or just after my dinner and have been walking in the evenings; nothing serious, but about a 30 to 40 minutes stroll. I’m staying pretty close to the 500 mark, but not obsessing over the calories. I’m sure a few days this week, I was closer to 700 calories (Shhhh, don’t tell coach Leez!) Sure, I’m doing a little of the, “hmm, how much would I have lost if I hadn’t done that?” but overall, I’m pleased with my approach. One thing I’m curious about… this morning, I was up a few ounces but I know this is water retention. I have seriously puffy eyes and can just “feel it.” So, I’m genuinely curious if this could have been the hot tub hubby and chilled in last night. I did a little research and as it turns out, extensive REALLY hot water, can cause an increase in weight from your lymphatic system’s response. On the other hand, the end result is that the body actually BURNS calories during the process. Interesting… very interesting. I’m not too worried- I know I’m making progress, and I know that the occasional fluctuation is just part of the Hcg Phase 2 weight loss process. 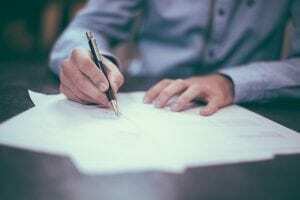 Leez wrote an article that shares an explanation of these shifts. I’ve been sharing this a lot in the forums lately, so maybe others will find it useful: Stall Causes and Solutions. 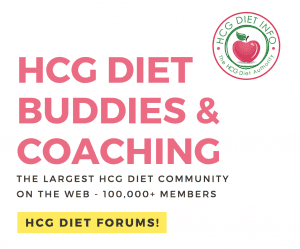 My Week 1 of Hcg Diet Phase 2 – The Wrap-Up! I made it! I have completed 7 full days of P2, and I feel great. It was an interesting start, but with a good finish, and I’m feeling strong for week 2. So, I’ve realized I’m really just not a POP (perfectly on protocol) person, no matter how good my intentions. The truth is, I’m ok sacrificing a few ounces if it means a more comfortable journey. 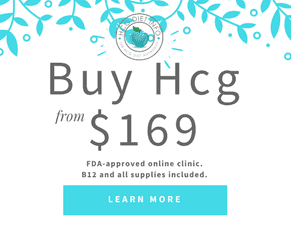 It’s definitely true that every Hcg round is different, and this first week has proven this true. I started out with a little light-headedness and feeling “off” but was able to correct this by lowering my Lipo dosage (Diet Doc Lipo is just crazy potent, like their Hcg.) I may increase my Lipo this coming week and see how I do, but for now, I’m good at 300iu for lipo, and 150iu for my Hcg. Foods I tested this week and their results: So, I had full eggs (not just whites) for a few late breakfast/lunch meals. 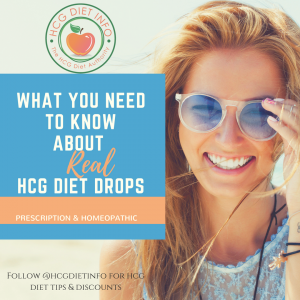 The Hcg diet protocol is specific in that it allows 3 egg whites or 1 full egg according to the allowed foods and eating guidelines. Luckily, this didn’t seem to effect my losses (again though, I have to wonder if I would have lost more sticking to the rules.) I also had green beans one night (ty hubby for making me an off-protocol dinner with good intentions 😀 ) which also didn’t seem to effect my losses. Another item I had was a whole lot of cayenne pepper in my favorite Hcg Diet meatball soup recipe, and also on my eggs with Frank’s hot sauce. I know Leez has mentioned that some people experience stalls with this, but I didn’t have a problem. Foods that DID influence my losses: Cottage cheese. While this is on the allowed foods list as an alternative protein, I noticed much lower losses on days when I had this, compared to days when I stuck to eggs, beef, fish or chicken. This really could just be me, since I have known for years, that dairy is a weight gainer for me (it also messes up my skin- parents who have kids with acne, ditch that dairy! It’s a HUGE skin messer-upper!) I’m also suspicious of oranges; these littles guys definitely mess with my sugar cravings rather than help them. I’m not sure how they affected my losses exactly, but I do know that I had cravings for hours after eating one. I passed on the oranges for the last few days but will give them a go again next week. This coming week and next, I will be doing a lot of testing and I’m not sure about what results to expect. I plan on testing with a lot of foods that my readers and forum members ask about. If you have a food you’re curious about, let me know and I can see what my experience is with it. I’m planning to try cottage cheese (again), sweeteners, and diet soda, out of curiosity. I’m also going to test a few things with Braggs aminos (modified soy sauce) which I used in minimal amounts last week without an issue. Still, I’m curious if more would cause a slow in losses or an increase in cravings.